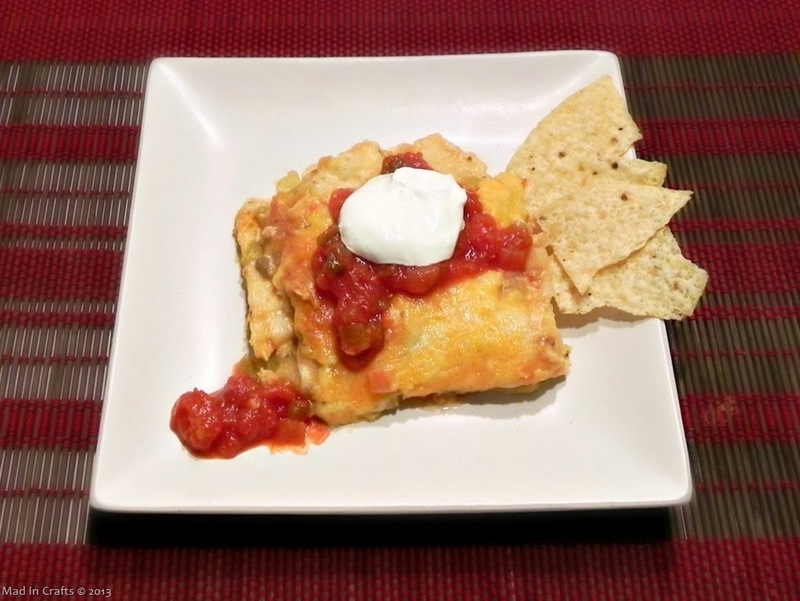 Another of my favorite meals, my mom would always be sure to make this enchilada casserole when I was home from college. It requires a little bit more prep work than one-dish casseroles, but I think the end result is worth the effort. See that bubbly, browned cheese? That’s how you know it’s bad for your waistline, and good for your soul. You can plate up the casserole with salsa and sour cream, and whatever Mexican side dishes your family likes the best. 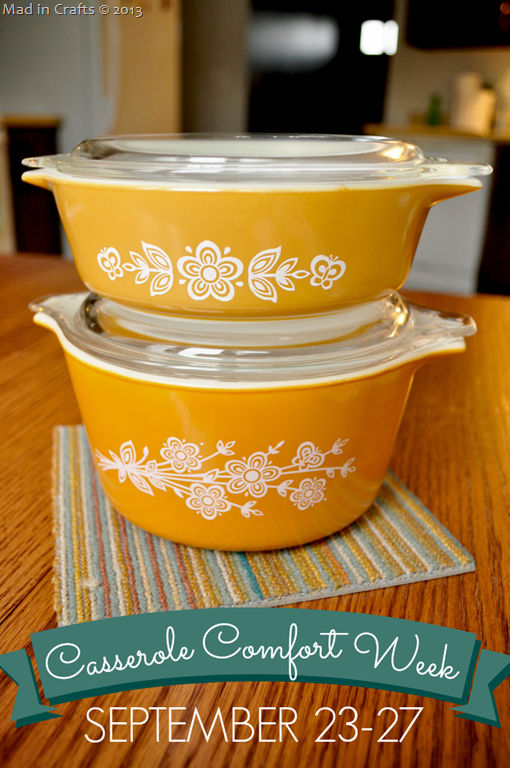 There is more casserole goodness to come. 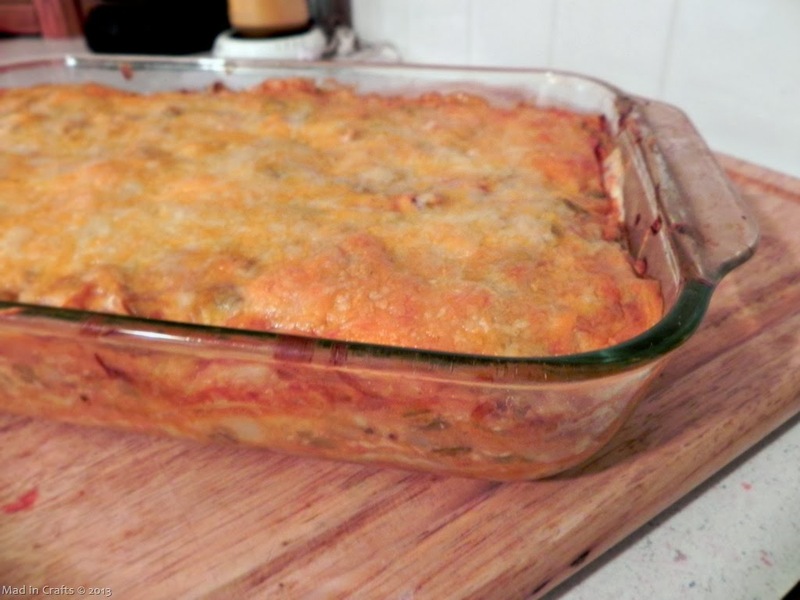 Check back throughout the week for more casserole recipes! In a large saucepan, heat the soup and half a can of water over medium-high heat. Add chilies, chicken and 1 cup salsa. Stir until mixture boils. Remove from heat. In a 9x13, begin with a layer of torn flour tortillas. Spoon 1/3 of the soup mixture over the tortillas, sprinkle with 1/3 of onions, and some cheese. Repeat these layers two more times, ending with cheese. Cover tightly with foil and bake at 350 for 35-45 minutes. 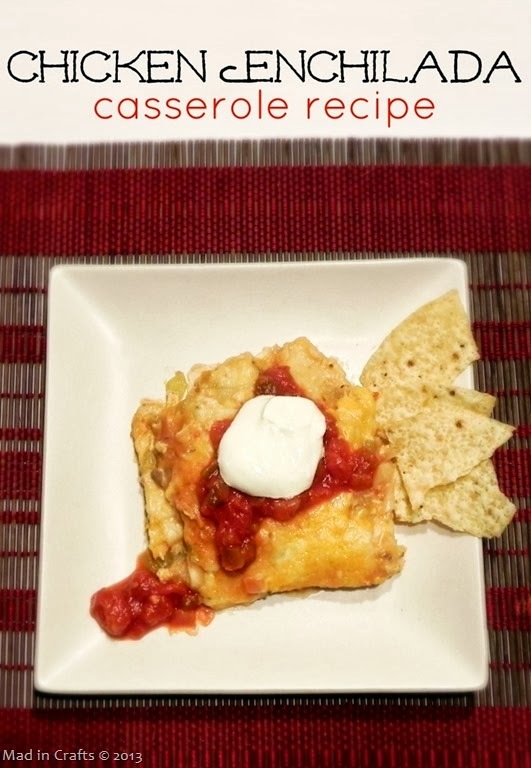 Serve with chips, salsa, and tortilla chips.